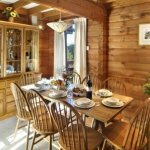 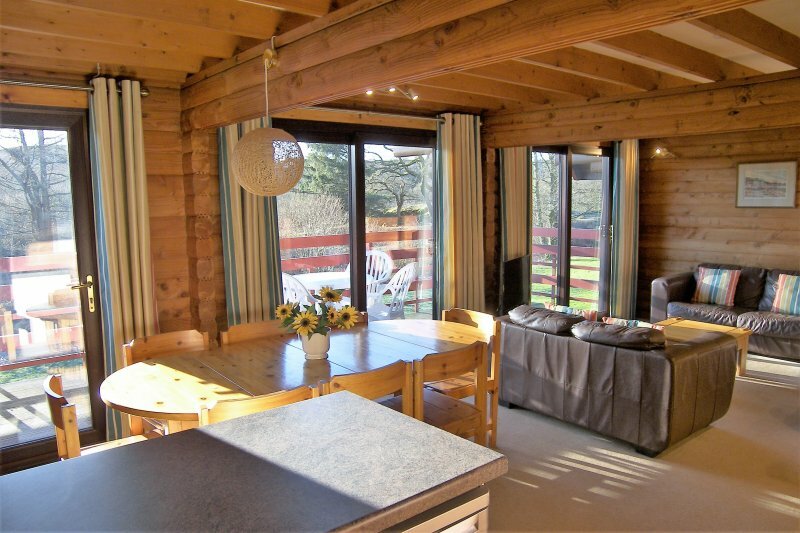 Set back from the coast in a well kept development of similar properties with free access to an onsite swimming pool, the three lodges are constructed to a high Scandinavian standard, with lovely views over wooded fells and a small loch. 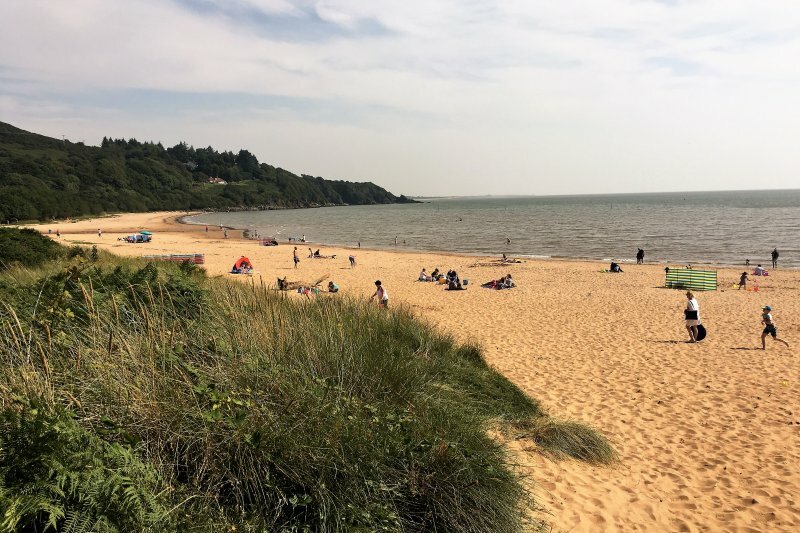 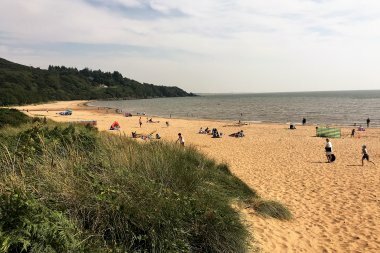 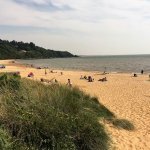 The on-site bar and restaurant is a short stroll away, and you are a pleasant walk from the ever-popular beach at Sandyhills Bay. 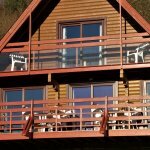 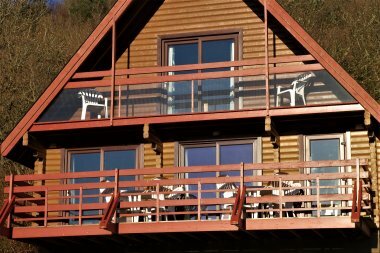 The lodges - Bainloch, Braemar and Laggan Hill - are laid out on two floors with a balcony to each floor. On the ground floor is a large living and dining and kitchen area for 8 people, with full height sliding glass doors all down one side leading to the large balcony. 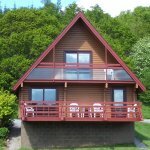 Also downstairs is a double bedroom and the main bathroom with over-bath shower. On the first floor is another double bedroom with an en-suite WC/bathroom with shower. 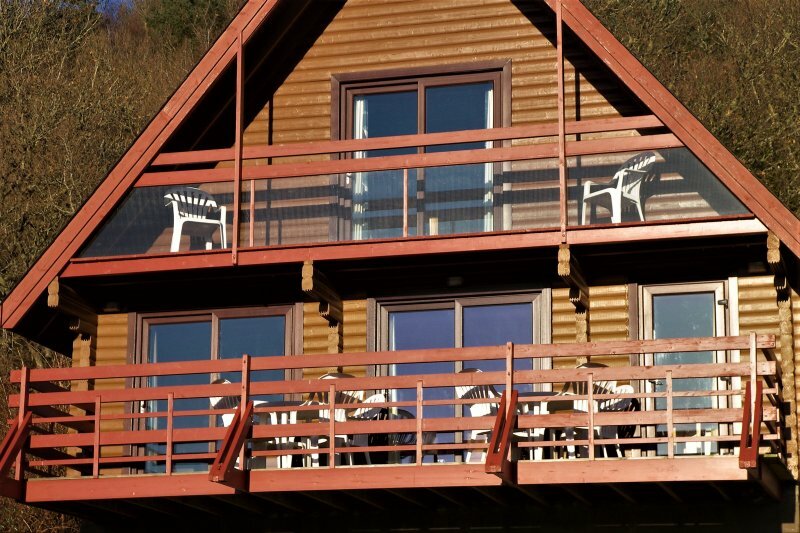 Also upstairs is a large open plan sleeping area with four single beds and a small balcony. 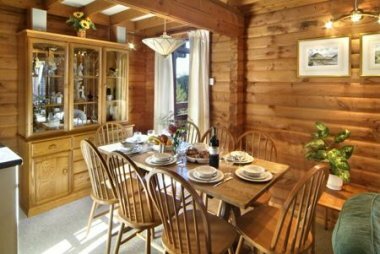 The kitchens are recently fitted and equipped with ceramic hob and oven, refrigerator and freezer, dishwasher and washer/dryer, microwave, kettle and toaster and a good range of cooking equipment and utensils. 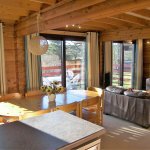 The living rooms have a music centre and a television with DVD player. 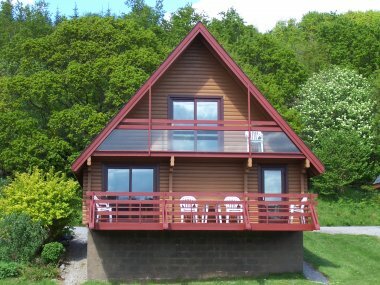 The lodges are also specially equipped for mountain bikers enjoying the nearby 7-Stanes routes at Dalbeattie, Ae and Mabie, with bike storage, bike wash and tool provision..